Morgans CIMB analyst Adrian Prendergast has just upgraded his price target for emerging oil and gas producer, FAR (ASX: FAR), from 17 cents to 21 cents. This compares with the company’s closing price of 8.1 cents on Friday. 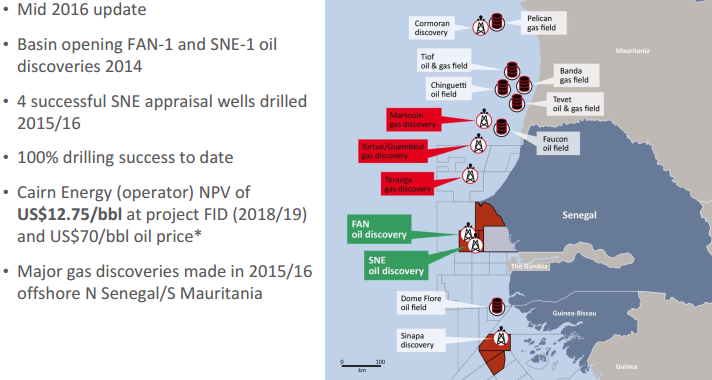 FAR tends to fly under the radar despite its outstanding achievements in making the world’s largest oil discovery in 2014/15 in offshore Senegal, and following this up with six strikes from six wells drilled in that region. It should be noted, however, that for political and social reasons, FAR is a very high-risk stock. Getting oil projects up and running in countries such as Senegal is no simple feat, and there may be challenges ahead. As Chief Executive, Cath Norman highlighted, ‘2016 marks the 10th anniversary for our company in the country, and FAR and its partners (including Conoco Phillips at that time) have made two large discoveries in both a deepwater fan and a shelf edge play’. 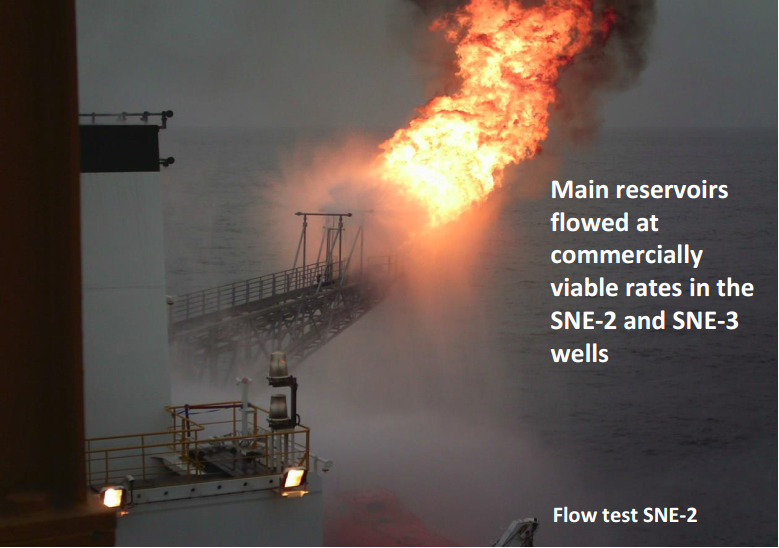 The shelf edge delivered the highly promising SNE field which is the largest oil field discovery anywhere in the world since 2014. Norman believes it is definitely the hottest basin globally at the moment for conventional oil discoveries. In September, SNE was assessed by FAR to be a commercially viable project with minimum economic field size (MEFS) threshold achieved. While first oil isn’t expected until 2022, it is a massive project and a valuable asset with a production plateau of 140,000 barrels of oil per day. The contingent resource was recently upgraded to 1.12 billion barrels. A floating platform development is envisaged which will provide capability for tiebacks to other wells in that region. Development expenditure is expected to be circa $14 per barrel and ongoing operating expenditure is also expected to be in that vicinity. In the course of reporting its recent half-year result, joint-venture partner Cairn Energy Plc reported economic scenarios for a standalone SNE development project. As indicated below, a breakeven oil price was estimated at US$35 per barrel, and based on a US$70 per barrel oil price the internal rate of return was 38%. These metrics are broadly in line with FAR’s. FAR was an early mover in this region and as part of the joint-venture is the beneficiary of two large discoveries, one being a deepwater fan and the other a shelf edge play. Furthermore, the company’s strike rate of six hits from its last six wells drilled recently earned FAR the accolade of ‘Breakthrough Company of the Year’, which was awarded by the Oil and Gas Council at a ceremony in London. 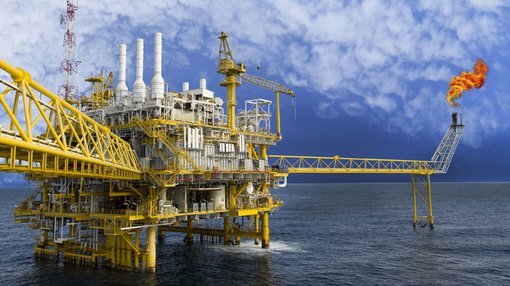 However, the FAR story took on a whole new dimension in July when Woodside Petroleum entered into a binding purchase and sale agreement with ConocoPhillips to acquire all of its interests in the Senegal project for a purchase price of US$350 million plus a completion adjustment of approximately US$80 million. This was an important move for Woodside Petroleum in terms of expanding and diversified its portfolio of assets and as the company’s Chief Executive Peter Coleman said, the acquisition was in accord with the group’s growth strategy given it provided a significant position in an underexplored and highly prospective emerging oil province. Given Woodside’s underlying strategic rationale it could be argued that FAR could also come into play. In announcing the acquisition of ConocoPhillips interests, Woodside mentioned that it was looking forward to working with joint-venture participants including the Government of Senegal and FAR. However, since then it has come to light that FAR has a right of pre-emption over the proposed sale of Conoco Phillips interests, and the group has sought legal advice supporting the fact that Conoco Phillips failed to comply with the terms of the Joint Operating Agreement in relation to the proposed sale of its interest in the Senegal project. Negotiations are currently taking place between all parties concerned with the Senegal government urging the parties to come to an amicable solution. 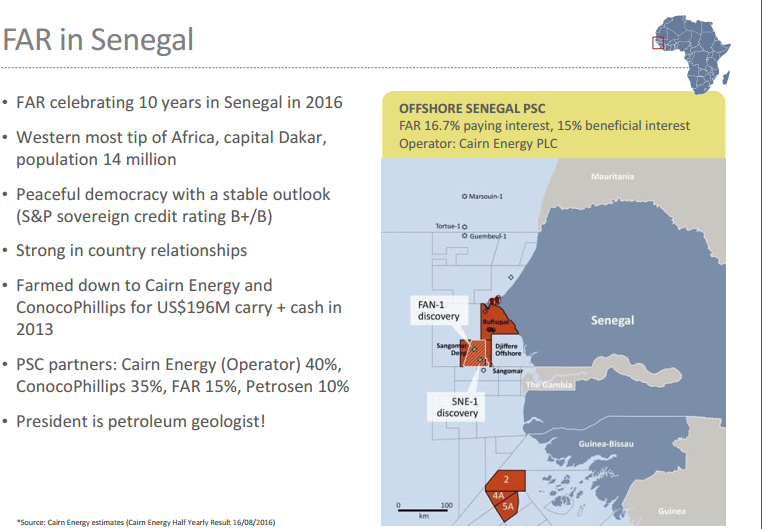 Prendergast sees potential upside for FAR saying, “Joint-venture outcomes around Conoco’s stake in Senegal represent a near-term catalyst if FAR can trigger its pre-emptive option in a deal that sees its equity share increase in the project”. Other factors he mentioned that supported his investment view included, “Further resource upgrades at SNE, multiple opportunities for additional nearby discoveries and the gradual de-risking of timing and resource”. It is speculation at the moment as to which of these near term catalysts may come to light and investors looking at FAR should take a cautious approach to any investment decision they make with regard to this stock. 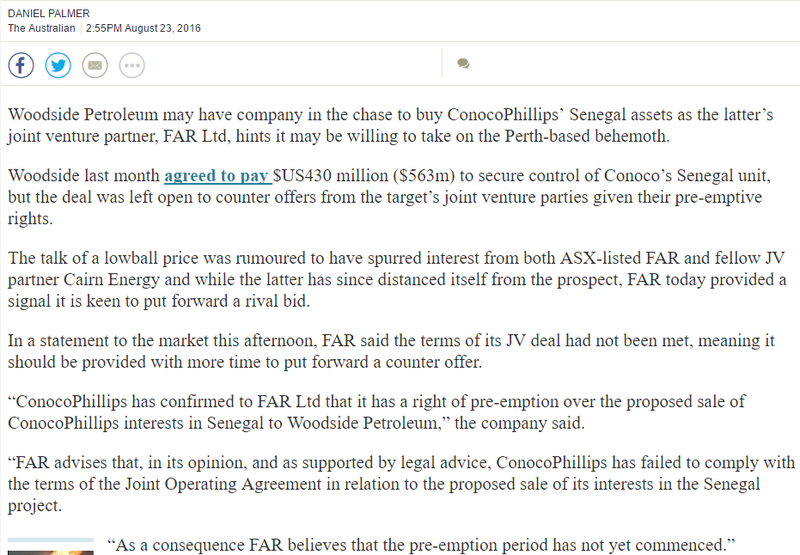 In terms of understanding how takeover proceedings may play out it is important to note that in the lead up to accepting Woodside’s takeover offer, Conoco Phillips had openly stated that from a strategic perspective it was looking to exit assets such as Senegal. Consequently, the offer price it accepted in a yet to be ratified agreement reflected a discount, and this weighed on FAR’s share price as investors crunched the numbers on the implied valuation of its stake. On this note, Prendergast said, “We do not view the low price agreed to in the (Woodside/Conoco) deal as an accurate valuation benchmark for the asset given Conoco’s position as a motivated seller”. Just how a potential restructure of the deal unfolds remains to be seen. Prendergast is of the view that if FAR was to exercise what it believes as its pre-emptive right, while being a game changing development, it would need to find a partner to assist in funding the acquisition of Conoco’s stake. However, any increase in equity for FAR providing the consideration is in line with valuations should be seen as a positive. Peter Arden from Bell Potter ran the ruler over the stock in mid-June, highlighting that the SNE oilfield had grown in size and significance over the past 18 months as a number of successful drilling campaigns had shown the field is very much larger than the pre-drill estimate. Arden noted the size of the field had been upgraded three times since then and he was confident there was more upside to come given that the operators had successfully drilled two more wells and recovered extensive core data showing the field was even bigger, suggesting another upgrade to the SNE resource is imminent. Arden had a buy recommendation on the stock with a 12 month price target of 30 cents at that stage and this hasn’t changed to date. While FAR has a minority stake of 15%, such is the size of the project that Bell Potter valued its stake at 27 cents per share. 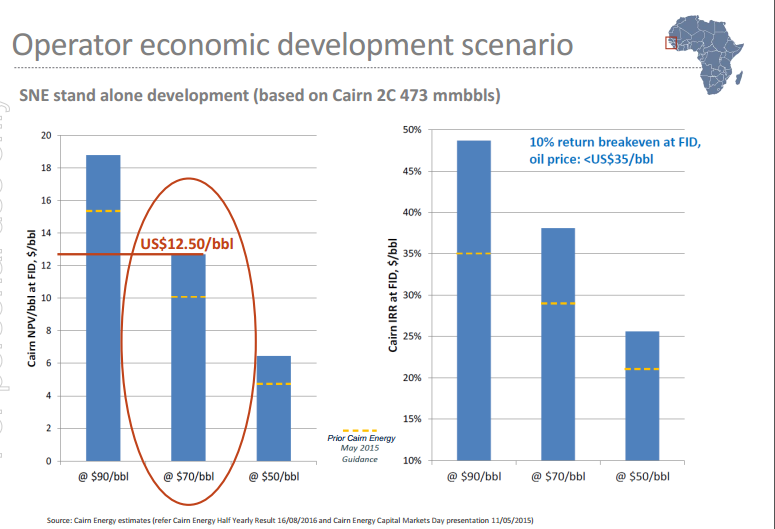 This didn’t take into account future resource upgrades, nor did it factor in the prospect of a premium being paid to FAR if its stake were to be acquired. One would expect a potential suitor would have to pay a substantial premium given Norman’s recent comments where she said, ‘We are just scratching the surface of the prospectivity in our blocks where we still have a number of undrilled prospects – it appears this has the makings of a major new oil and gas province’. This indicates FAR would be a price maker rather than a price taker if it decided to divest the assets. Furthermore, it is worth considering the fact that Woodside has a track record of opting for either majority or full ownership of its assets. Should Woodside look to acquire FAR with a view to gaining a majority stake in the project, it would arguably pay a sizeable premium for control, as is normally the case with the pricing of such transactions. Consequently, it wouldn’t be surprising to see FAR’s share price begin to reflect the value of the important SNE asset in the near term. Furthermore, as Bell Potter said, ‘FAR’s role as a key participant in the highly successful offshore Senegal joint-venture has seen its reputation enhanced, enabling it to attract growing support from investors’. This was evident in the well supported placement conducted earlier this year which has positioned the company to fund further appraisal and exploration initiatives in Senegal. As at June 30, FAR was debt free and had cash of $66 million, sufficient to fund its upcoming work program. It should be noted that assumptions should not be made regarding commodity price movements, and investment decisions should not be based on FAR’s past trading performance. The group is an early stage explorer and independent advice should be sought if considering an investment in FAR.